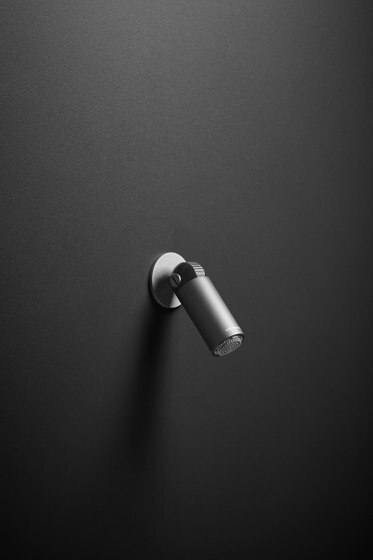 A perfect cylinder, compact, essential, precise, an image that is the perfect synthesis of technology and design: AZIMUT is the ceiling and wall showerhead in stainless steel and black Derlin with a special rotation which is the heart of the project. A technical detail that becomes aesthetic, a peculiarity that makes the difference, a concept that puts an evolved functionality first. 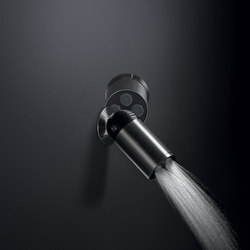 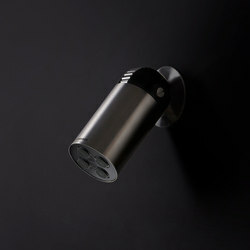 The hinge allows the showerhead to rotate and then direct the jet more than 180°. 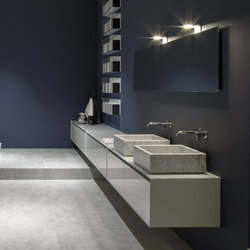 antoniolupi presents the new Graphite finishing for Azimut. 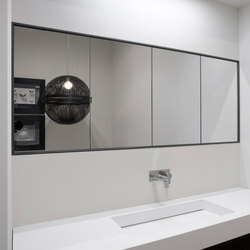 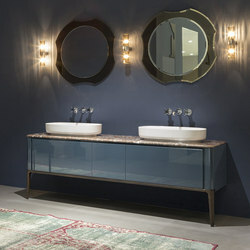 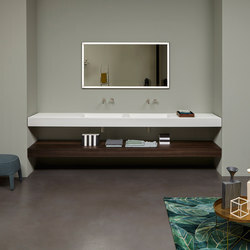 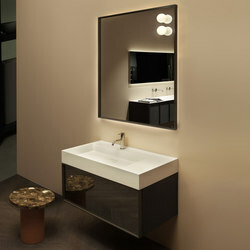 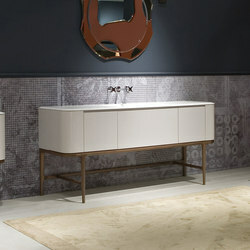 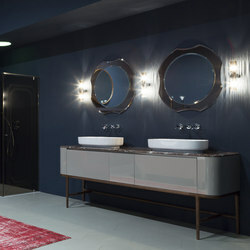 As in all the antoniolupi collections aesthetics plays a key role in defining the project. 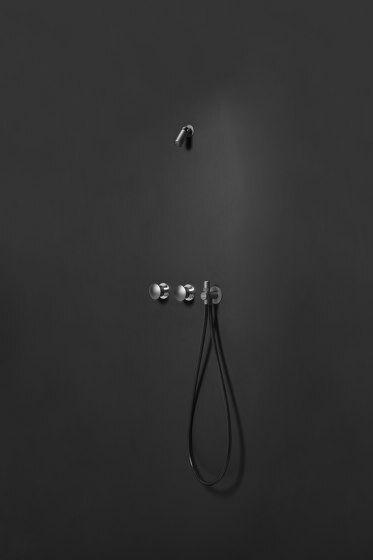 The sophisticated elegance of satin steel and graphite finishing, measured proportional balance and compactness make it an object of the contemporary soul. 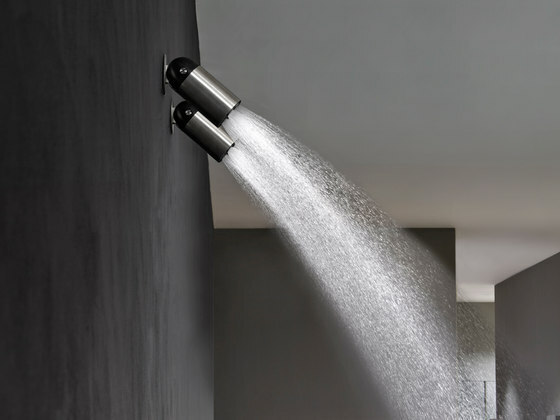 A showerhead that has the heart of the project in its special joint, a technical detail that becomes aesthetic, a concept that puts evolved functionality in first place. In fact, the joint allows the showerhead to rotate and then orient the jet of water by more than 180 ° with respect to an axis. 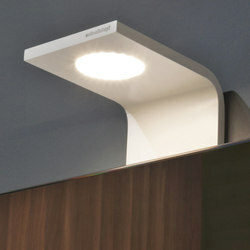 A feature that multiplies the possibilities of use ensuring greater flexibility of installation. 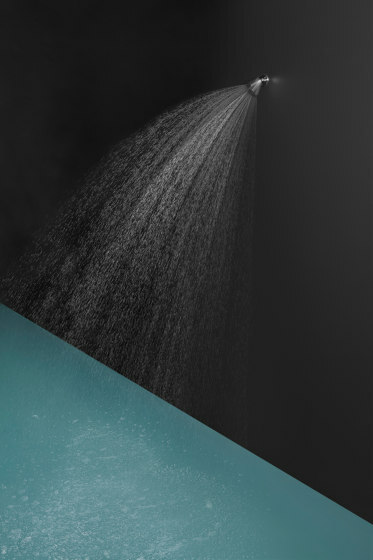 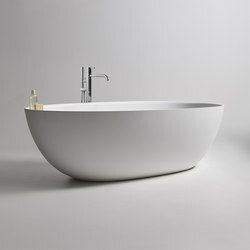 Azimut can be applied to the wall or ceiling according to the needs and is able to direct the jet of water according to the physical characteristics of the user to ensure maximum relaxation. 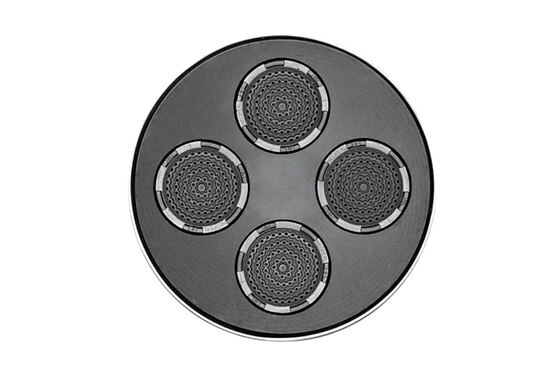 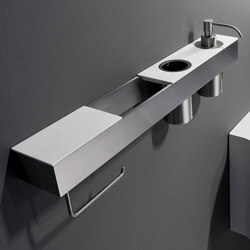 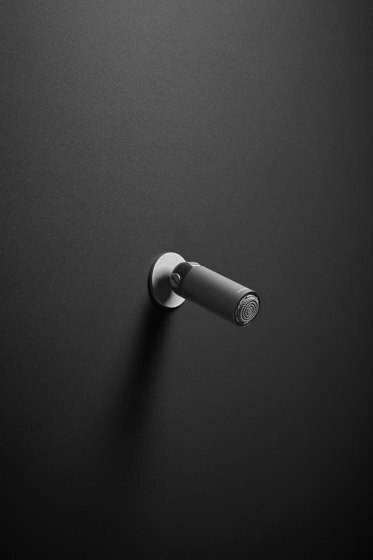 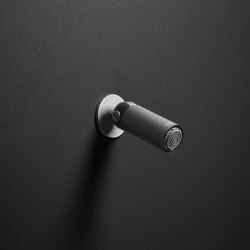 The joint has been made with a rack that generates a pleasant snap effect and at the same time allows to hold the showerhead in the desired position.